Formatting a characteristic to appear in the Bex report. I need some advise with regard to achieving a specific report output, I need characteristic values to appear under the class names (i.e. 1000, 1005, 1010 etc. ) rather separately as in the existing report. The characteristic values defined as a characteristic rather a key figure. The DSO information is also attached below, how do I get rows to columns transpose. Kindly advise on this. Thank you. #Las. 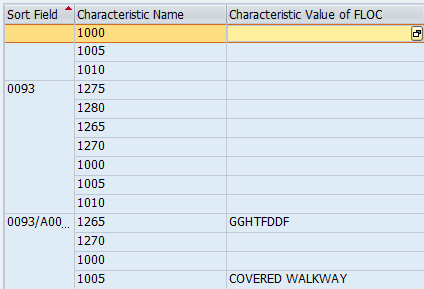 If you want characteristic values under class names include it under column space.....if I understood it correctly. This post will be closed. Found a solution internally.